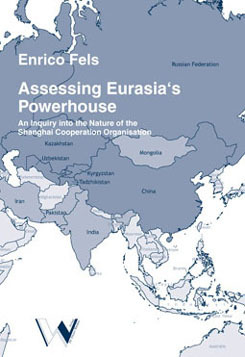 Situated in what Sir Halford Mackinder has called the ,Eurasian heartland' the Shanghai Cooperation Organisation (SCO) covers a region of utmost geopolitical importance. Central Asia is not only rich in resources, culture and history but also central to a struggle in which three major powers – China, Russia, and the United States – compete for strategic influence. Having both China and Russia as member states the SCO is currently the most important regional organisation in Central Asia and a cornerstone of Moscow’s and Beijing’s regional strategic policies. So far, a surprising degree of inattention has been given to the SCO. This new book shows how strategic policy analysts should interpret the purpose and significance of the SCO. The book’s great strength is its descriptive richness and detailed analysis. In responding to a number of claims that have been made about whether or not the SCO is – or can be – an organisation that balances Western power, the author illustrates how to better understand the SCO and covers a significant amount of analytical ground in doing so. This incorporates assessments of Sino-Russian sub-regional and global strategic priorities, military-security relations within the SCO, the political and economic postures of its members, energy politics and the regional strategies of Western states. Assessing the role of Central Asia’s most powerful and influential regional organisation in this competition is not only important because it provides crucial knowledge for academics, analysts and policy-makers on the SCO’s current and future role in Eurasia’s heartland, but it also reveals the sometimes visible, but mostly inconspicuous strategic interactions between China, Russia and the U.S in this important region – resulting in significant effects on wider global affairs.